There's been tons of publicity around Lena Dunham's and Amy Poehler's new books, so it's no surprise that sales wise, the lady memoirs race is pretty even. Each garnered a big advance (an eye-popping $3.7 million for Dunham, low seven figures for Poehler) and huge amounts of publicity. The result? A virtual tie. 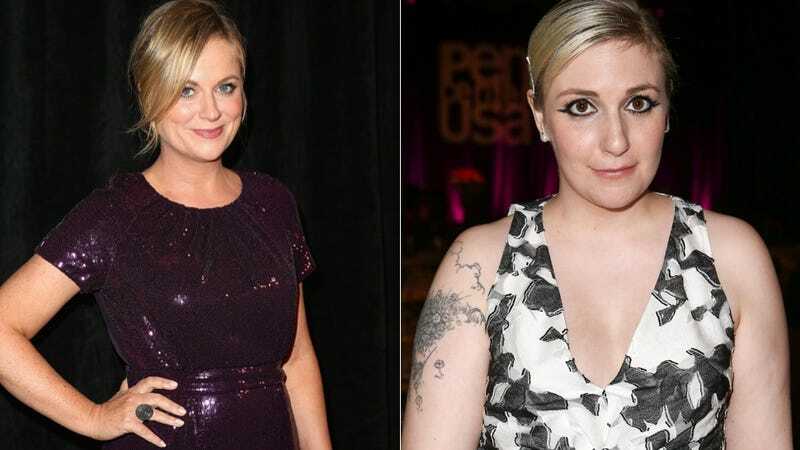 Dunham sold 38,000 copies during the first week after her book's Sept. 30 release, and Poehler moved 37,000 copies after her book's Oct. 28 release, according to Nielsen BookScan. Has anyone read both? For comparison, Tina Fey's Bossypants, released in 2011, sold 38,000 in its first week and went on to sell 2.5 million copies.